Home>Metal roofing>Which material should you use for your metal roofing installation? Which material should you use for your metal roofing installation? It’s easy to assume that all metal roofing materials are the same. After all, it’s just metal – how different could it be? And the answer to that question is, well, very! Metal roofing has a long history (which you can read about here). During that time, people have experimented with all sorts of different metals, each with its own strengths and weaknesses. Rust occurs when iron inside a metal combines chemically with oxygen. Luckily for you, copper contains zero traces of iron. The upshot? If you get a copper roof for your metal roofing installation, you won’t need to worry about rust. Ever. Another benefit is that copper is “soft”, relatively speaking. As such, it minimises sound (of course, with modern sarking and insulation, that now applies to all types of metal roofing). The thing is, since copper is so soft, it’s also much more likely to dent and bend. Needless to say, this doesn’t exactly make it ideal for applications where toughness and durability are paramount such as, say, your roof. Not to mention, copper is a bit “out there” as far as metal roofing goes. Few installers carry it, meaning you’ll have to custom order it. And that can cost quite a bit! Aluminium is used in a huge range of applications, from cans, kitchen utensils and even aeroplane parts. It isn’t hard to see why either, given that it’s lightweight, one of the most malleable metals out there, and has a low melting point. It’s that malleability that makes aluminium such a flexible choice – literally. Aluminium is a popular choice for more unique buildings since it can be bent and wrapped with ease. Additionally, aluminum has inherent qualities that make it great for high-humidity areas. When exposed to the elements, a chemical reaction is triggered and a thin layer of aluminium oxide is created. This protects your aluminium roof from further corrosion. The problem? Just like copper, aluminium dents and warps – not ideal for roofing. Additionally, aluminium is quite costly, putting it out of reach for most! The hot tin roof is an Australian icon. While tin’s day in the sun is long over, a lot of old-fashioned types still refer to any type of metal roof as a “tin roof”. Nowadays, the only place you’ll find tin in a metal roof is in the coating. Pure tin is imply not cut out for the rigours of roofing – that’s why so many older metal roofs are in such a rough state. In our opinion, the fact that “tin” is a catch-all term for any sort of metal roof is the only reason people keep asking for this archaic material! As a metal roofing material, steel is like a Honda Civic – affordable, versatile, and utterly dependable. Steel is hands-down the most popular choice for metal roofing installation in Melbourne. It isn’t hard to see why either – steel is easily the most affordable option thanks to lower raw material costs. More importantly, steel just has the right qualities. As an alloy, steel is made by combining other metals – iron, zinc, aluminium, you name it. Manufacturers are able to create types of steel that are tailored for the rigours of roofing. For example, at Watermaster Roofing we use COLORBOND metal roofing. Its formulation is specifically designed for harsh Aussie weather conditions, ranging from the red centre, to the coasts, to snowy alpine regions and everything in between. Okay, so each different type of metal has its own strengths and weaknesses. Logically, using different types of metal roofing together should lead to stronger, healthier metal roofing. Unfortunately, this isn’t true – in fact, using different types of metal can actually make your roof weaker! If you’ve got a mind for chemistry, you can click here for a more in-depth understanding of how the process works. In layman’s terms however, what this means for you is that your metal roof will corrode faster. Even something as simple as the type of metal selected can have a huge impact on your metal roofing installation. As such, you need somebody who knows their stuff to walk you through each step of the process – you need Watermaster Roofing. Based in Melbourne’s south-east, we provide quality metal roofing installation in Melbourne. 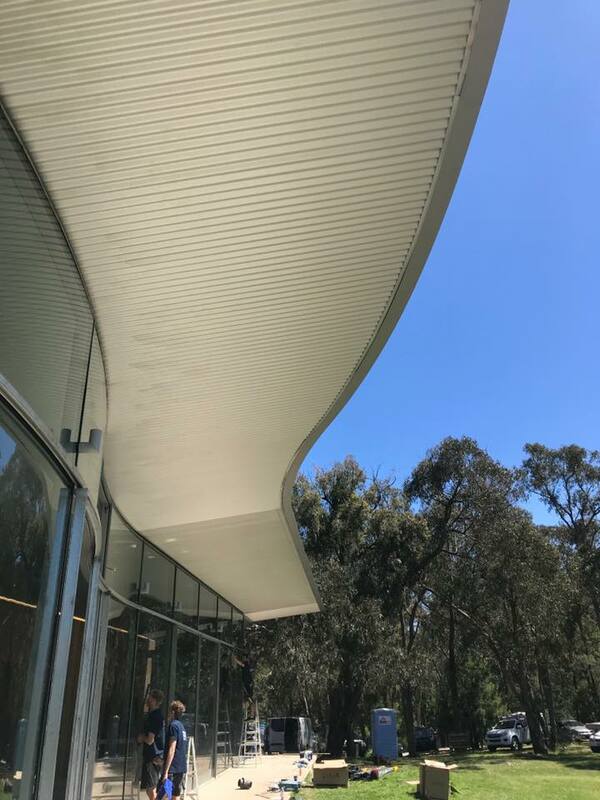 We exclusively use COLORBOND metal roofing – this allows us to offer all the strengths of metal roofing without the weaknesses. 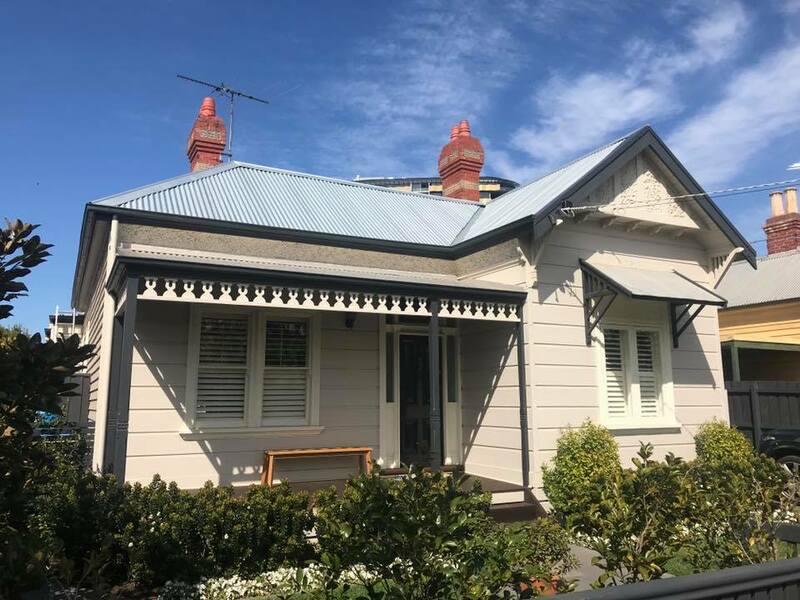 Combine that with some fantastic-looking finishes and colours and two decades of experience, and it’s no wonder we’re Melbourne’s premier roofing team! Planning a new roof? Give us a call today on 1300 576 075, or click here to fill in our contact form.